An approved 1.2 hectare apartment site in the centre of Gold Coast City is expected to generate strong buyer interest, on the back of significant recent residential sales activity in Robina. Robina Group, the central-city development site on Laver Drive is unmatched in its amenities. The site has a City of Gold Coast approved Plan of Development permitting residential development up to eight stories with street level commercial, and the ability to go higher subject to Council approval, which will ultimately also allow a higher number of apartments. 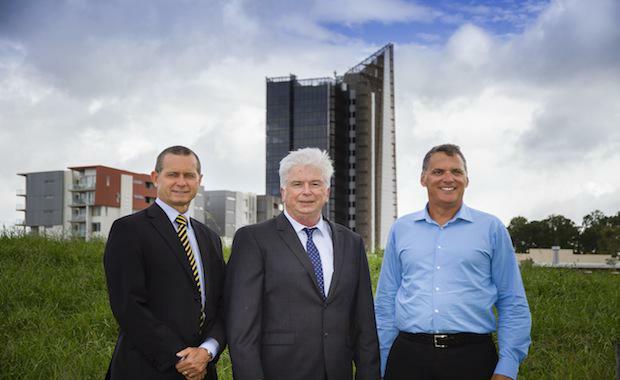 Colliers’ National Director Darrell Irwin has labelled it the best quality approved residential site on the market in central Gold Coast City and expects interest from local, national and offshore development groups. Mr Irwin said demand from developers is the strongest seen since 2007 due to significantly improved market conditions, easing bank financing arrangements, record low interest rates and booming residential markets in Sydney and Melbourne. “Development land in Robina is a lot more attractive when compared with the southern states,” Mr Irwin said. “There is a limited supply of high quality Gold Coast City residential development sites currently on the market due to a spate of recent site sales including Lakeview at Mermaid Waters, Palm Beach Caravan Park and a 7 hectare parcel within the Coomera Town Centre precinct. Development on the site will capitalise on strong demand for residential product with almost $103 million in sales in less than a year across the Robina Group’s residential developments, including the $200 million CityVillage and $34 million Riverlily. The Robina Group General Manager Hylton Slater said the timing was right to release the site based on the extraordinary market response to other residential developments. Sites in Robina benefit from the Robina Central Planning Agreement (RCPA) which was enacted under an Act of Parliament, and grants Robina substantial planning rights, including substantial infrastructure charges benefits and streamlined approval time frames.